Washington DC, April 11th 2019 – Vagabond continues to lead efforts to promote the evolution of traditional vending and OCS operators into the broader and more essential convenience services opportunities that take advantage of the unique and intimate relationships already in place with workplace communities. Further to that aim, several NAMA members announced they will create a Conveniences Services ‘Neighborhood’ at the 2019 edition of the NAMA Show. This full spectrum of suppliers will demonstrate how they collectively contribute the services and goods required by business owners attending the NAMA Show to operate, manage and expand their businesses with new profit-generating business lines. The Neighborhood will be comprised of Vagabond, AMS, Nayax, Betson, FixtureLite, InOne, VendSys, Vendors Exchange and Think Jerky. Neighborhood partners recognize the importance for operators to satisfy more of their consumers’ daily consumption needs and are helping to facilitate operators to profit not just from snacks and drinks, but also from breakfast, lunch, dinner, breakrooms, supplies and happy hour. Neighborhood booth visitors will be able to use Vagabond’s vīv payments platform to have beer personally delivered to them at all partner booths during showfloor hours at the NAMA Show. 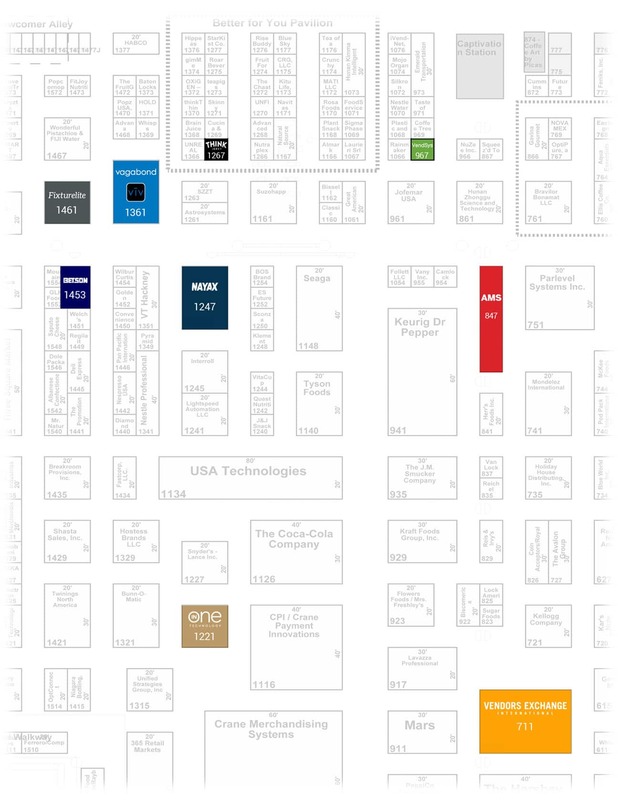 In addition, the companies in the Neighborhood will demonstrate complementary partner offerings in their booths. Vagabond’s booth will showcase a vīv-powered food truck and outdoor decor encouraging operators to consider whether the walls of the workplace should be the boundary of its profit potential. NAMA Show attendees can grab a picnic table at Vagabond’s workplace courtyard to chat with friends, relax and take a breather on the show floor. Vagabond will display how operators can capitalize on workplace community needs beyond snacks by utilizing Convenience Services Neighborhood partner solutions to facilitate efficient operations while using partner technologies to add a multitude of revenue streams available within every workplace community. 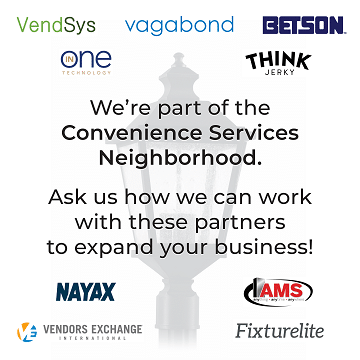 The Convenience Services Neighborhood partners look forward to sharing time with their peers and customers at an exciting NAMA Show in Las Vegas, April 24-26.